‘Eat your breakfast like a king, lunch like a prince and dinner like a beggar’ – All Indian’s take this sentence very seriously, which is why breakfast in all parts of India tends to be a very heavy meal. I am a big fan of South Indian food because it’s not just very tasty but very healthy and wholesome too. 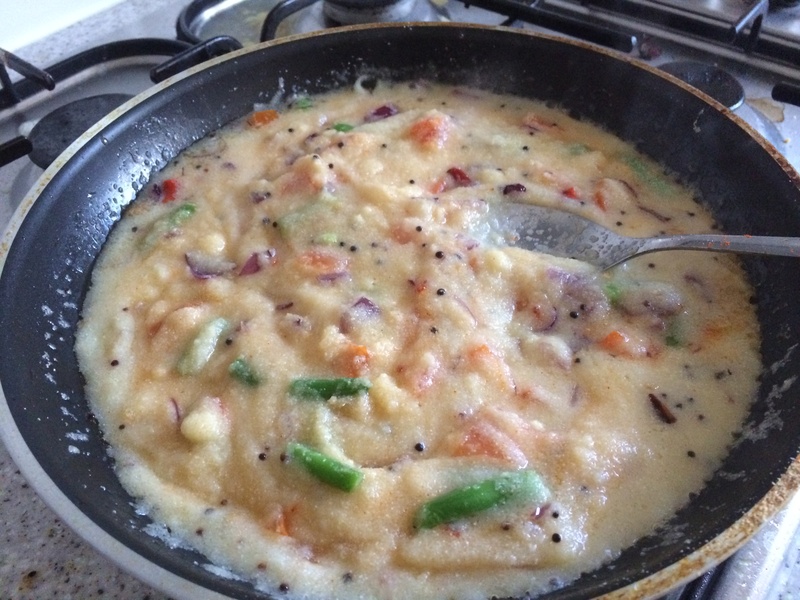 Upma is one of the most popular South Indian breakfast which has a huge popularity across the country. 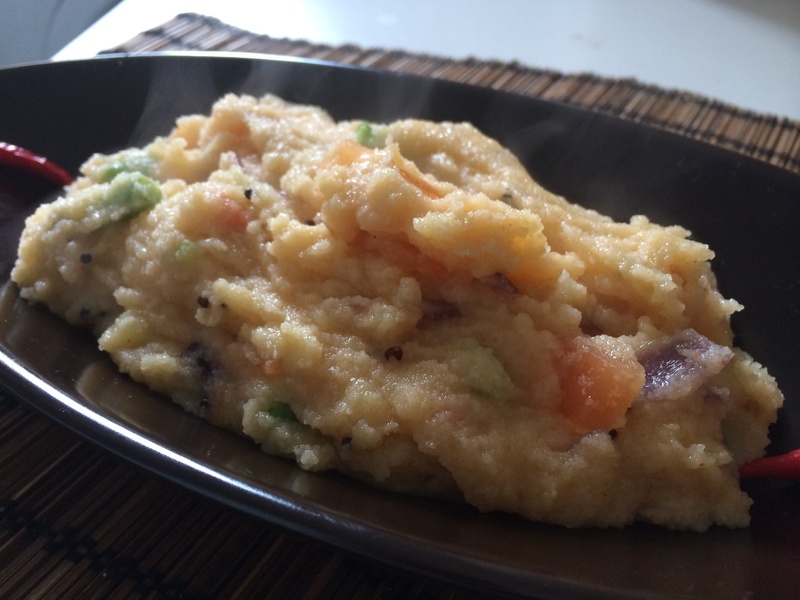 It is a healthy meal made with semolina and vegetables which keeps you full for a very long time but at the same time its extremely tasty and delicious! 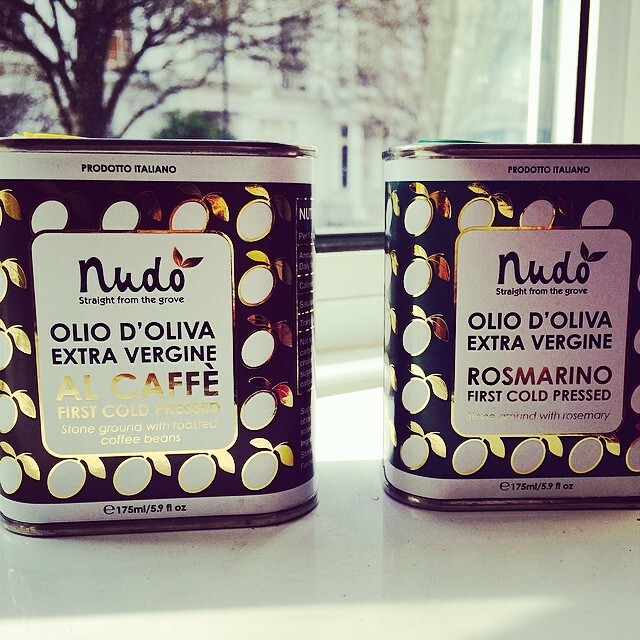 Nudo Italia send me samples of their new rosemary flavored olive oil . I am a big fan of rosemary and always tend to use it with meat (which is the obvious choice) but this time I decided to see how well it goes with vegetarian food and decided to experiment it with Upma! Guess what? It turned out to be fabulous because the hint of rosemary makes adds a whole new dimension to the dish! Heat the oil in a pan, add the mustard seeds, onions and bay leaf – fry it till the onions get soft for about 1- 2 minutes on medium heat. Add the semolina to it and then add 2 cups of water to the whole thing and let it cook in low heat. Add the curry leaves, lemon juice, chili flakes, salt and pinch of sugar – let it cook till you get a thick consistency similar to a risotto. Serve it piping hot and relish it – 🙂 Isn’t it rather simple to make? You won’t believe this story. 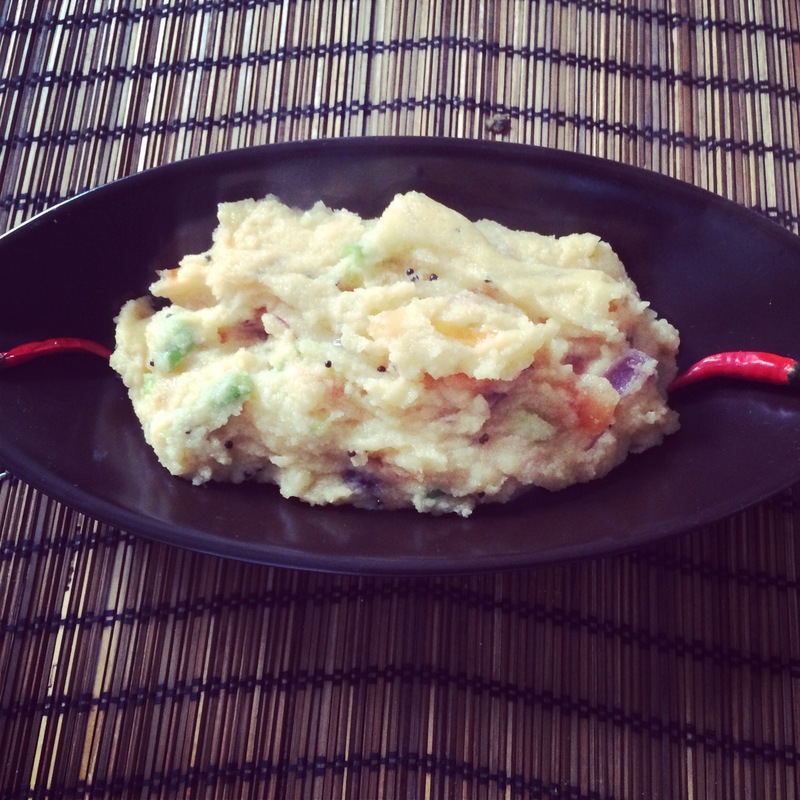 My dad made upma for breakfast–fantastic hangover cure, btw. He accidentally used granulated onion. I was so hungry that I ended up killing a plate without my family trying it. I thought it was a bit undercooked, but didn’t think too much of it. They tried some, and long story short. Worst stomach ache ever.